Some have asked me for a little history behind the name of our "To Di For Decaf" blend. Here is the short version! Friends and family who are close to me generally call me Di. It is usually the first sign I know that someone is becoming a close friend with me. I love the nick name, and use it as well when I sign off an email or leave a message. Also, most who know me, know I have a bit of a zeal for life! 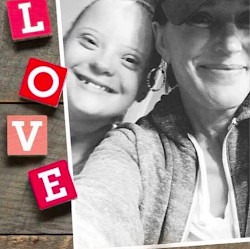 I love life, and for the most part, I enjoy all that life brings my way! I absolutely LOVE coffee! The taste. The smell. The culture that surrounds coffee. The process of roasting coffee. The history of coffee! Simply said, there is nothing I do not love about coffee. I have found that if I drink coffee that is not a premium blend, it gives me more energy than I need, and generally makes me feel yucky. So if I drink coffee that is not a premium blend, I drink decaffeinated, because as I have said, I was born caffeinated. Now I only like to drink premium blends. Dreamers Coffee blends are a premium coffee blend. Frishly roasted! So, going forward, on days when I don't need the extra caffeine, I will be drinking "To Di For Decaf"! I love the name so much! 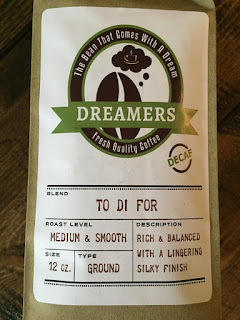 My family has had fun tossing names around for Dreamers Coffee, and my sister came up with this one. Right away, we all said, YES!! So for those of you who were born caffeinated, and would prefer a bean without caffeine, we hope you will try "To Di For"! It is truly to die for! This entry was posted on Monday, June 22, 2015 and is filed under decaf,Decaffeinated coffee,Dreamers Coffee House,To Di For. You can follow any responses to this entry through the RSS 2.0. You can leave a response.